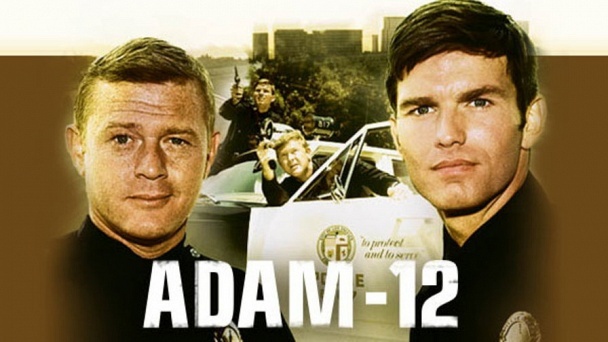 Adam-12 :: Show Information :: RabbitTV GO! Follow two Los Angeles police officers as they patrol the streets of Southern California. Adam-12 was the first series to realistically portray the joys/frustrations of being a police officer in the late 1960's-early 1970's. This attention to detail made the show a catalyst for uncounted numbers of people to enter the law enforcement/EMS agencies when they became adults. TRIVIA: Adam-12 was the radio call number of the unit that Malloy & Reed worked. In Los Angeles, the first digit (1), represented the division assigned. "Adam" is the LAPD designation for a 2-person patrol unit; "12" was the beat area assigned. (Although, Malloy & Reed could be seen patrolling the streets anywhere in L.A. from Downtown to the Valley, they retained the number division #1, no matter where they were). The police station used throughout the series was the newly-built (at the time) Rampart Station.